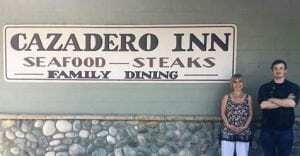 Sherry and Cam Andrus are the new owners of The Cazadero Inn, soon to be known as The Cazadero. The mother-son team plan to convert the Estacada mainstay at 352 Southeast Highway 211 into an upscale casual restaurant that pays tribute to the town’s history. At the Cazadero Inn, a model train and ticket booth will soon welcome visitors. 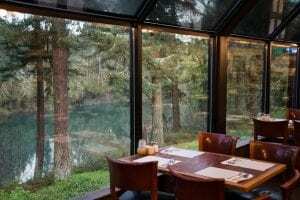 At the restaurant’s bar, patrons might feel as though they’re back in the town’s logging days with homages to the former Park Lumber Mill.